Sandmeyer Steel Company stocks Alloy C276 nickel alloy plate in thicknesses from 3/16" (4.8mm) through 2 ½" (63.5mm) and is one of the most universally corrosion-resistant materials available for applications such as chemical and petrochemical processing, flue gas desulfurization, pulp and paper equipment, industrial waste, and air pollution control. Alloy C276 nickel alloy plate (UNS N10276) is a nickel-molybdenum-chromium-iron-tungsten alloy which is among the most corrosion-resistant alloys currently available. 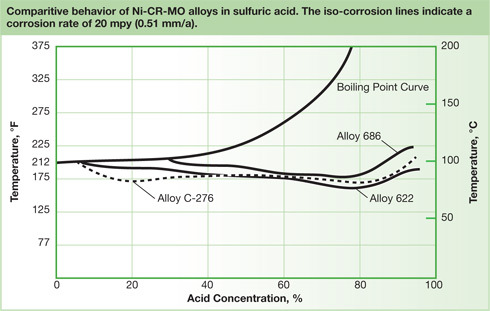 The high molybdenum content imparts resistance to localized corrosion such as pitting. The low carbon minimizes carbide precipitation during welding to maintain resistance to intergranular attack in heat affected zones of welding joints. Alloy C276 nickel alloy plate also has good high temperature strength and moderate oxidation resistance although the alloy will eventually form embrittling high temperature precipitates. Alloy C276 nickel alloy plate (UNS N10276) is an austenitic nickel-molybdenum-chromium alloy with a small addition of tungsten. It is one of the premier corrosion resistant materials available for process industries. Alloy C276 nickel alloy plate has excellent corrosion resistance in both oxidizing and reducing environments. The combination of the high molybdenum and chromium content, along with the addition of tungsten, make Alloy C276 nickel alloy plate highly resistant to chloride stress corrosion cracking, pitting, crevice corrosion and general corrosion. Alloy C276 nickel alloy plate can operate in oxidizing atmospheres up to 1900oF (1038oC), however, the alloy lacks sufficient chromium content to operate successfully in the most strongly oxidizing environments like hot, concentrated nitric acid. The low carbon content of Alloy C276 nickel alloy plate enables the alloy to be utilized in the as-welded condition. It cannot be hardened by heat treatment, but can be hardened by cold working. The alloy has a higher work-hardening rate than the austenitic stainless steels which should be taken into consideration. Alloy C276 nickel alloy plate can be easily welded and processed utilizing standard shop fabrication practices for austenitic stainless steels and nickel based alloys. Alloy C276 nickel alloy plate is one of the premier corrosion resistant materials that performs exceptionally well in both oxidizing and reducing environments. It resists chloride stress corrosion cracking, pitting, crevice and general corrosion. The alloy is also resistant to carbide precipitation during welding enabling it to be utilized in the as-welded condition. In chemical processing applications, the alloy has exceptional resistance to sulfuric, hydrochloric, formic, acetic and phosphoric acids. 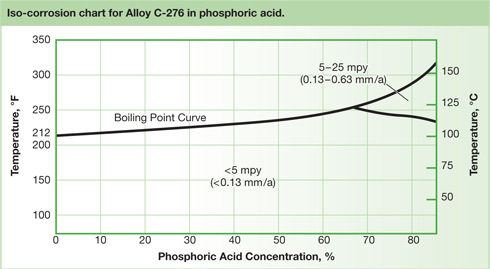 Alloy C276 nickel alloy plate performs well in environments containing acid chlorides, solvents and acetic anhydride, The alloy is one of the few grades that withstands wet chlorine gas, hypochlorite and chlorine dioxide solutions. Alloy C276 nickel alloy plate is highly resistant to concentrated solutions of oxidizing salts including iron and copper chloride. It also performs well in seawater, especially under crevice conditions where other frequently used alloys such as stainless steel, Alloy 400 and Alloy 625 fail. The operating conditions of flue gas desulfurization systems offer a challenging environment for corrosion resistant materials. Scrubber liquors and gas condensates often contain chlorides. Alloy C276 nickel alloy plate nickel alloy plate has been shown to withstand higher chloride levels than other grades before the onset of localized corrosion in these systems. Alloy C276 nickel alloy plate is used extensively in the recovery and processing of sour natural gas which contains hydrogen sulfide along with carbon dioxide and chlorides. Carbon and alloy steels cannot withstand this corrosive environment. They are subject to failure by sulfide stress cracking or stress corrosion cracking. The rich chemistry of Alloy C276 nickel alloy plate makes it resistant to sour environments even at high temperatures in deep wells. 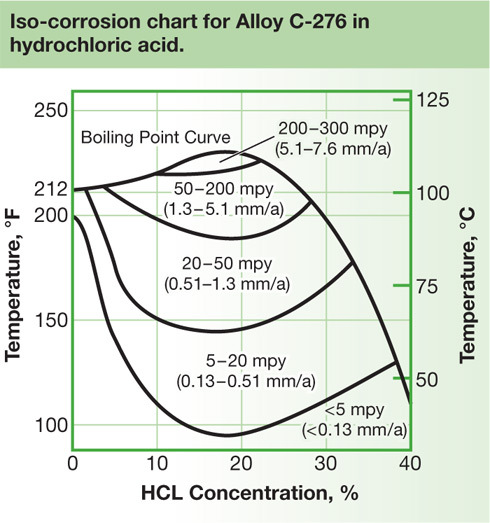 Corrosion Tests* in Hydrogen Fluoride Gas. The hot-working temperature range for Alloy C276 nickel alloy plate is 1600 – 2250°F (870 – 1230°C). The alloy should be water quenched after hot working. Heat treatment is recommended after hot working to ensure maximum corrosion resistance. Alloy C276 nickel alloy plate should be in the annealed condition for cold working. The alloy has a higher work-hardening rate than the austenitic stainless steels which should be taken into consideration. An in-process anneal may be necessary with a high degree of cold working. If the alloy undergoes greater than 15% deformation during cold working, a solution anneal may be necessary. Alloy C276 nickel alloy plate can be readily welded by most standard processes including GTAW (TIG), PLASMA, GMAW (MIG/MAG) and SMAW (MMA). A post weld heat treatment is not necessary. Brushing with a stainless steel wire brush after welding will remove the heat tint and produce a surface area that does not require additional pickling. Alloy C276 nickel alloy plate should preferably be machined in the annealed condition. 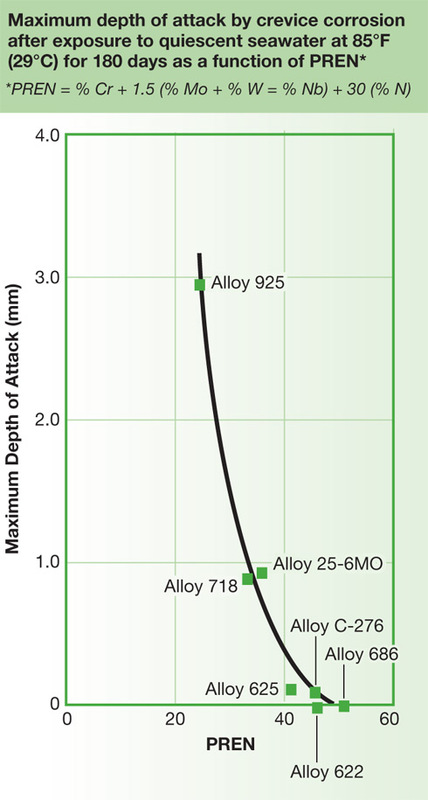 Since Alloy C276 nickel alloy plate is prone to work–hardening, only low cutting speeds should be used and the cutting tool should be engaged at all times. Adequate cut depth is necessary to assure avoiding contact with the previously formed work-hardened zone.